HTC U11 is turning out to be the go-to flagship smartphone for those who are not only looking for an innovative smartphone but also those after a device that is unique in terms of physical appearance. The HTC 10 successor has been confirmed to be selling a lot better than its predecessor in major markets across the globe. While this can be attributed to the fact that the phone has an innovative design that allows users to squeeze the edges to execute a number of customizable functions, the color variants of the HTC U11 are also playing a huge role in the love people are showing towards the phone. When it was unveiled back in May, the HTC U11 was confirmed to be coming in a number of color variants that include Amazing Silver, Brilliant Black, Ice White, Sapphire Blue and Solar Red. While the other colors have been available for a while now, it’s only recently that the Solar Red color variant was released. 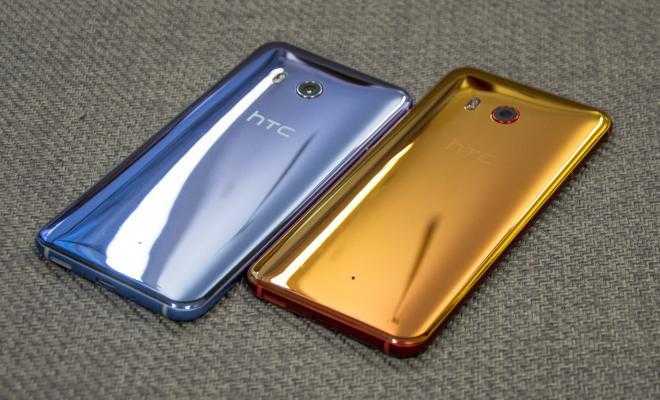 As it turns out, many are now turning to this color variant of the HTC U11 and in fact, those who had already purchased the phone in a different color variant are showing signs of regret. Initially, the Sapphire Blue variant appeared to be the fan favorite, but now that the Solar Red variant is here, many are after this variant as compared to others. To be honest, the HTC U11 color choices are all great, but the Solar Red variant stands out due to its highly reflective nature that gives out a different shade in every light, which is why people are falling for it. Other than the appearance, the HTC U11 also comes with a good collection of hardware specs under the hood. The phone is powered by the new Snapdragon 835 processor that is mated with either 4GB or 6GB of RAM. Similar to the RAM variants, you also get two storage options of either 64GB or 128GB. Both variants have room for expanding the storage using a microSD card of up to 256GB. The microSD card gets a dedicated slot on the single-SIM variant, but on the dual-SIM variant, it uses the same spot as the second SIM card. In terms of photography, the HTC U11 is the only phone to have clocked a DxOMark rating of 90, the highest ever a smartphone has achieved since Google Pixel achieved a score of 89. This score stems from the fact that the phone has a decent 12MP shooter on the back with an aperture of f/1.7, PDAF, OIS, dual-tone LED flash and support for 4K video recording. On the front, you’ll come across the same selfie sensor that appears on the HTC U Ultra – a 16MP lens with an aperture of f/2.0 and ability to record up to 1080p videos. To keep the HTC U11 alive is a decent 3000mAh battery unit that is supported by Qualcomm’s Quick Charge 3.0 technology and charging takes place through a USB-C port, which also doubles as an audio output port. Like the HTC U Ultra, you don’t get a 3.5mm audio jack on the U11. Software-wise, the phone has Android 7.1 Nougat out of the box with the usual HTC Sense UI skin on top. The HTC U11 has a 5.5-inch display screen with a QHD resolution and Gorilla Glass 5 on top. The entire body of the phone is also IP67-certified for dust and water resistance.